In nature, we find patterns, designs and structures from the most minuscule particles, to expressions of life discernible by human eyes, to the greater cosmos. These inevitably follow archetypes of sacred geometry which reveal to us the nature of each form and its vibrational resonances. They are also symbolic of the underlying metaphysical principle of the inseparable relationship of the part to the whole. The strands of our DNA, the cornea of our eye, snow flakes, pine cones, flower petals, diamond crystals, the branching of trees, a nautilus shell, the star we spin around, the galaxy we spiral within, the air we breathe, and all life forms as we know them emerge out of timeless geometric codes. The designs of exalted holy places from the prehistoric monuments at Stonehenge and the Pyramid of Khufu at Giza, to the world's great cathedrals, mosques, and temples are based on these same principles of sacred geometry. 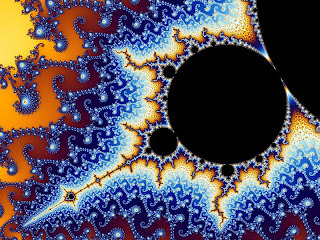 The term Fractal was coined by Benoit Mandelbrot in 1975 and was derived from the Latin fractus meaning "broken" or "fractured". 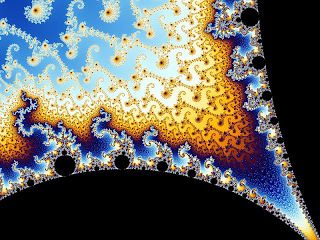 A Fractal is better understood as "a rough or fragmented geometric shape that can be split into parts, each of which is (at least approximately) a reduced-size copy of the whole," a property called self-similarity. Sacred Geometry, Crop Circles, Balls Of Light, Orbs ... Healing Earth ! I had just come off another site I frequent : http://mountzion144.ning.com/profile/OmnitheusOneironaut and a good friend there had also just put up this film ~ You gotta love it when Life rhymes like that! Thank You my friend for always being in sync...hronicity! Of course, I've credited my sources. BTW, I'm really in-Joying '2012 ~ Biography Of A Time Traveler (The Journey of Jose Arguelles)' by Stephanie South. It's a really fascinating read! Having just read the fantastic 'Fractal Time' by Gregg Braden...it's been an incredible month of great reading material!